If you’re heading out to Flagstaff, Arizona, don’t forget to plan out an exciting, Southwest adventure from Flagstaff to Grand Canyon. 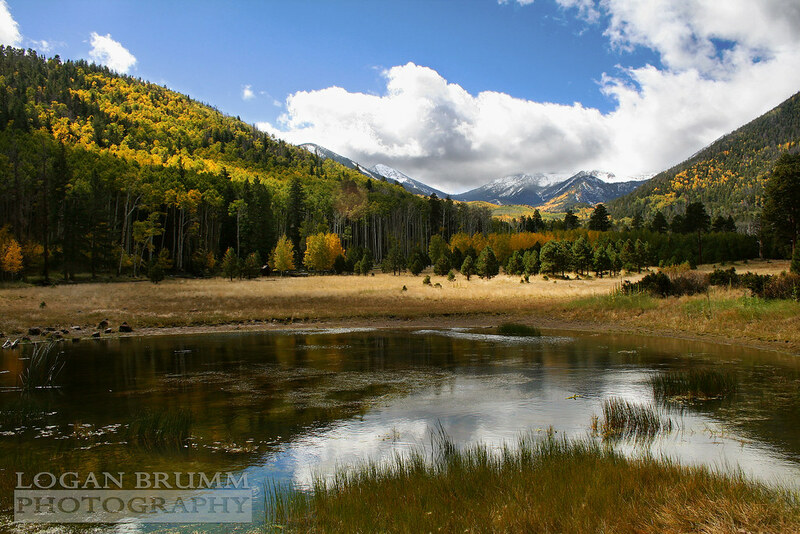 Flagstaff is a highly appealing small town to many travelers within the United States. Known for its nostalgic history of the ever-popular Route 66, its host as a modern-based town for college students, and its reputation as a major travel hub within the Northern region of Arizona. It is a highly popular urban respite in the high country. Best of all, Flagstaff is only a short 90 minutes from the Grand Canyons South Rim region. Your visit will mark the most ideal time for Grand Canyon exploration. Continue reading to learn more about the City of Flagstaff and the many Grand Canyon tours from Flagstaff. If the attractions and nearby destinations are not enough to convince you that a visit to Flagstaff is just what you need for an adventurous getaway, perhaps the historical significance and activities that take place within this small town will appeal to your sense of adventure. The town received its name when local lumberjacks nailed a United States flag on a Ponderosa Pine on July 4th 1876. Just six short years later, the Atlantic and Pacific Railroad arrived – drawing in a multitude of people. Throughout history, people have traveled to the region in order to unearth Native American artifacts near the Indian ruins that are now situated and protected within the Walnut Canyon National Monument. While these activities are no longer allowed, now people are attracted to the scientific-based developments of the area, the nearby Dam, as well as the numerous activities that occur throughout the year. When it comes to the Natural Wonders of the World, the Grand Canyon is considered to be one of the most stunning, mesmerizing, and mysterious. 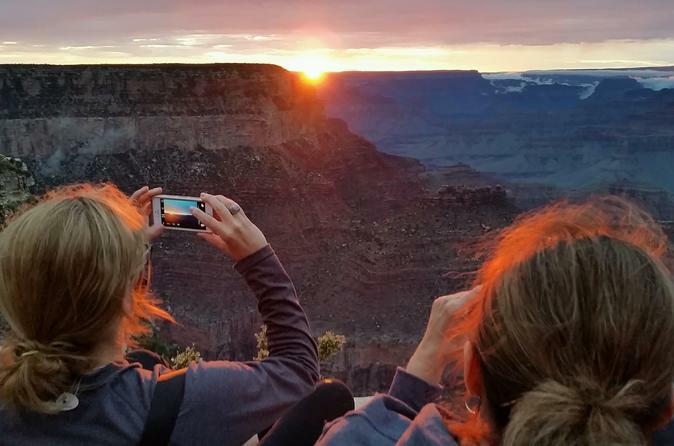 The Grand Canyon Sunset Tour from Flagstaff allows you the unique opportunity to see this magical area within the rays of the falling sun. Immediately after your Flagstaff pickup, you will get to observe numerous landscapes and natural attractions. Examples include the San Francisco Peaks dormant volcano, the Little Colorado River Gorge, and numerous other areas of interest within painted desert landscape. Do you have an interest in Grand Canyon hiking tours and exploring the natural wonder up close and personal? If you answered “yes”, take the Flagstaff to Grand Canyon Hike Tour that includes a hotel pickup. 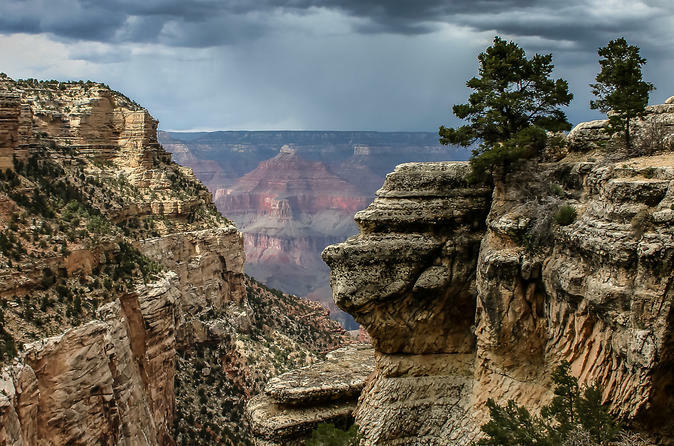 This all-inclusive tour is designed for those travelers that wish to embark off the beaten path and explore the true magic of the Grand Canyon. You will descend into the gorge that is situated along one of the trails of the South Rim. The tour includes a naturalist guide who holds a high level of expertise on the history, the fauna, the archaeology, flora, and the geology of the natural wonder. Out of all Grand Canyon hiking tours available, this is considered to be one of the most comprehensive and appealing to travelers. 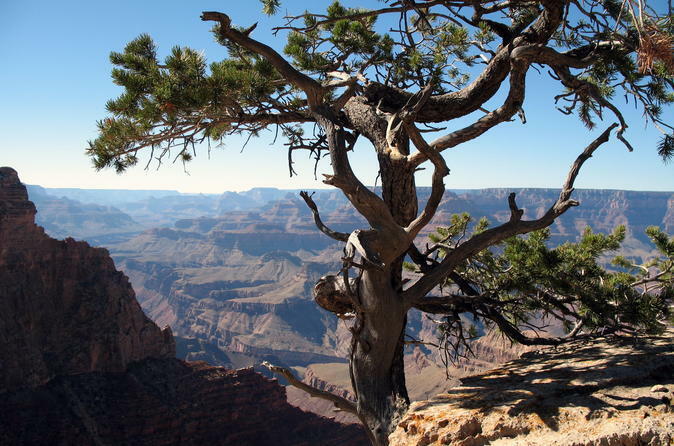 This all-inclusive day tour will allow you to explore a large assortment of overlook points situated throughout the Grand Canyon. You will get to see the Grand Canyon Village, the Desert View Watchtower, Yavapai Point, and several other areas. 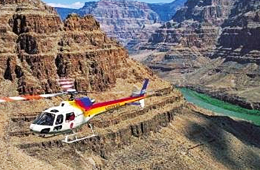 If you have an interest in taking a Grand Canyon helicopter tour to see the Grand Canyon attractions from the sky, you may add a flight onto this tour. For those going from Flagstaff to Grand Canyon to explore the region, this 30-minute flight is immensely popular. Not only will you experience unparalleled views, but, you will get to truly observe the magnificence of the Grand Canyon National Park. If you have an interest in going from Flagstaff to Grand Canyon, you will discover that there are many methods to succeed in your endeavor. You may partake in one of the many Grand Canyon to Flagstaff tours that allow you to see the national park by drive, by foot, or by air. 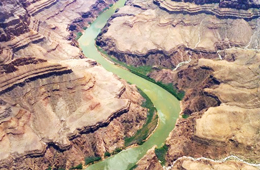 You will learn many facts about the Grand Canyon while on your adventure. 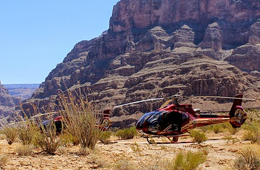 It does not matter if you want to take one of the many Grand Canyon hiking tours, a Grand Canyon helicopter tour, view the most popular Grand Canyon attractions, or simply indulge in Grand Canyon travel to create memories – it is all here!